This unique formulation is highly effective for ageing and dehydrated skin. It helps improve the appearance of new and old scars; Helps to reduce the possibility of stretch marks formed during pregnancy, teenage growth spurts and rapid weight gain; Improving the appearance of pigmentation marks and blemishes caused by hormonal fluctuations, skin lighteners and excessive exposure to the sun. It nourishes and tones ageing, sagging and wrinkled skin on face and body, Helps to replenish the skin’s natural oils stripped away by extreme weather and water with high chemical content, frequent bathing, and the drying effects of central heating and air conditioning. 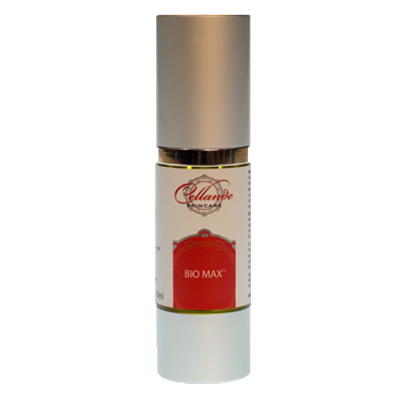 Biomax Plus – (Skin Repair) Oil is a Quality Natural Anti-Aging Face Hand and Body Oil and should be massaged in a circular motion into Pigmentation, Sun Damaged Skin, Scars and Stretch Marks, twice daily, for a minimum of 3 months. During pregnancy, it should be applied from the start of the second trimester to areas that are prone to Stretch Marks such as the abdomen, breasts, lower back, hips, buttocks and thighs. Apply Twice Daily to the Face, Hands, Neck and Body.